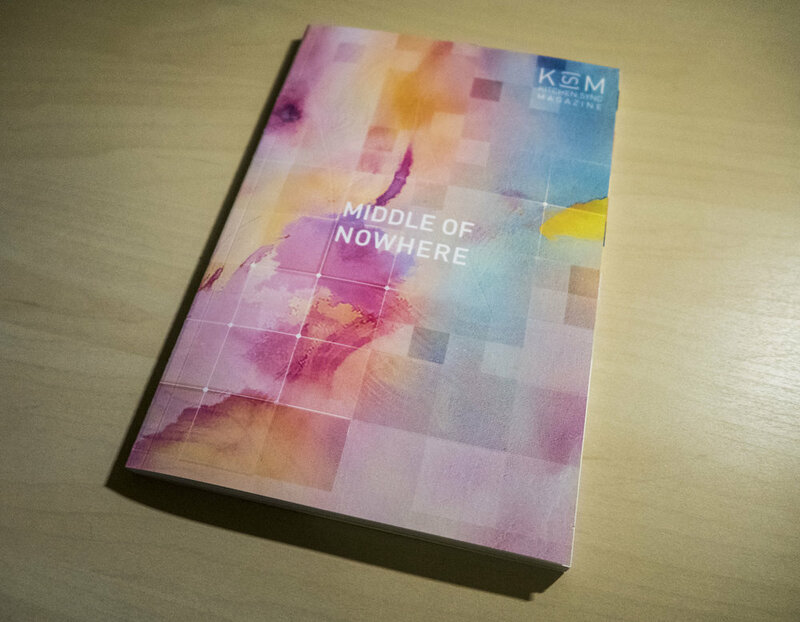 For the past couple of months I got to work under the Kitchen Sync Magazine staff on their second official publication “Middle of Nowhere”. I was in charge of designing the break pages (above) and the artist spotlight layout design under the supervision of Luke Janzen. "Nowhere can be found in anything - it can be found in a crowd, a composition, or a state of mind. Such uncertainty defines the space between the intimacy of personal experience and that of the global collective. Given an ever-connected world, how can we navigate the middle of nowhere?"